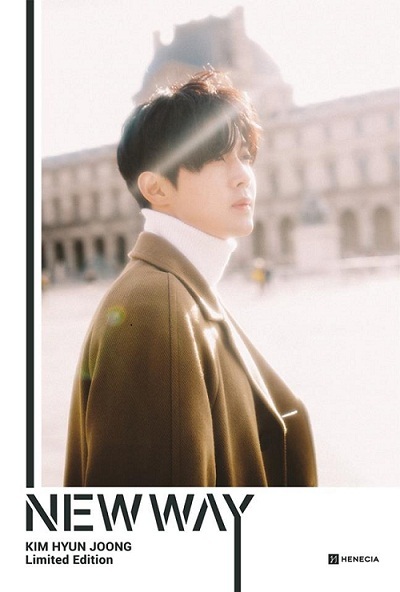 Hallyu Star, Kim Hyun Joong to announced to release his new album, title NEW WAY .It will be released on February 2019. The carrier song 'WHY" will be an acoustic guitar sound. He once said in an interview that even if there are only 1 or 2 people will be watching him and listen to his music, he would be singing even in a small and cozy music place playing his soft acoustic music with his guitar. So this song "WHY", must be important to him and and put more love on it. ​Prior to the release of his album he will have his concert in Seoul this coming Feb 9 and 10, And in Busan on Feb 23, 2019. His TV Drama "When Time Stops" concluded just recently will be having fanmeeting in Japan on Feb 28 at Yokohama Performance, and on March 03 in Osaka Performance . This must be good start for him this 2019. to have all these activities inside Korea and Japan. As I have watched him for 10 years now, he really put his heart into all of his songs, his passion is music, and he improved a lot, I may say he is a musical genius. This time he will return to Korean music with another batch of good songs. For so many years , I prayed for him and still praying for him to be on top among the top, I don’t want people making fun of him or dismiss him as an old and simple Adjushi . I want him to be remembered like a phoenix who can fly as high as he can for a long time! But now as I can see him surrounded by his Korean and fans worldwide, He is tracking the right path to his rightful place in Korean Music Industry. He can still fly. Let's break a leg for him on his new Album “NEW WAY". Let's raise our glasses and give him the loudest cheers! We wish him all the best for his new album NEW WAY! Kim Hyun Joong nim Congratulations!